Fantastic! Owner has put well over $100,000 in a major remodel and improvements! An interior wall was eliminated to create a huge, open great room! Builder windows were removed and replaced with giant picture windows so you and your guests can enjoy the magnificent views of the Pico Valley and wildflowers on the hills from the moment you enter and from everywhere in the great room. Travertine flooring throughout lower level and outside too! Enjoy the views from the spacious kitchen, which is open to the great room, and has a center island, granite counter tops beautiful cabinets and stainless steel appliances. A den or office space on the main floor, allows for added flexibility. A giant custom built deck was added off the master to enjoy the views of the valley, hills and ocean as the sun goes down. The backyard has a giant party bar with fire ring in the center as the BBQ comes off the grill, or the pizza out of the built-in pizza oven. 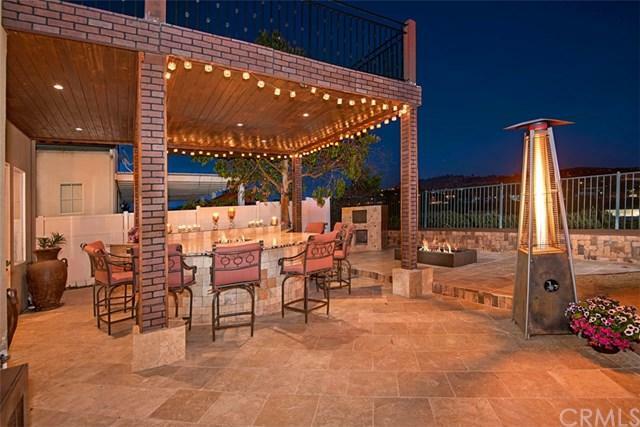 Your guests can stay warm after dinner around the built-in fire pit. 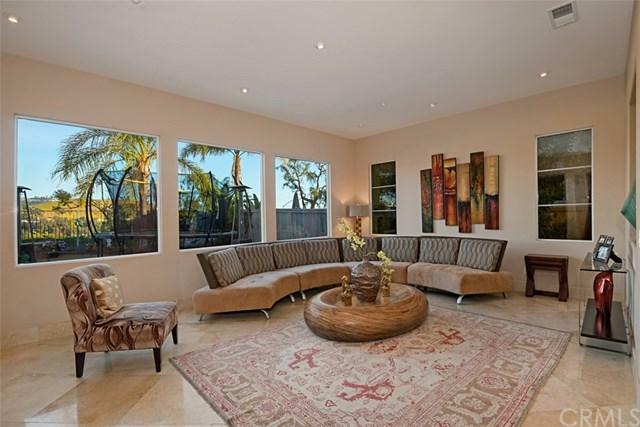 Enjoy the cool ocean breezes from the highly desirable gated community of Mandalay. Near fwy access, shopping, restaurants, the quaint downtown village and world class beaches! 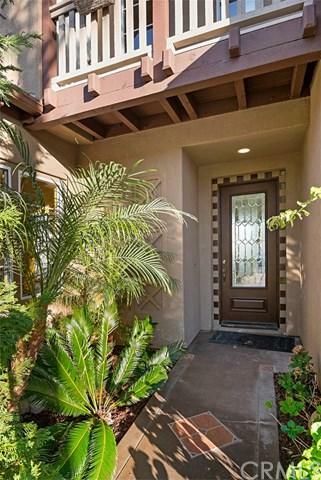 Sold by Patricia Moreno of Coldwell Banker Beachside.